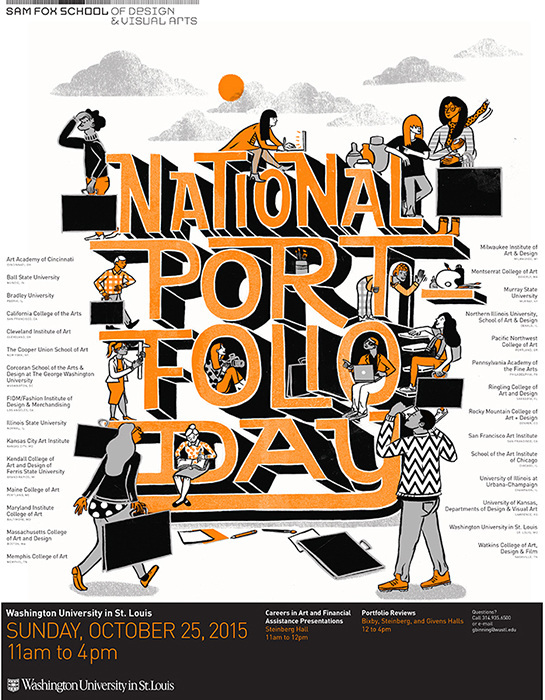 Loving the typography and illustration by VIDHYA NAGARAJAN for this new poster mailer for National Portfolio Day for Washington University in St. Louis’ Sam Fox school of Design & Visual Arts. 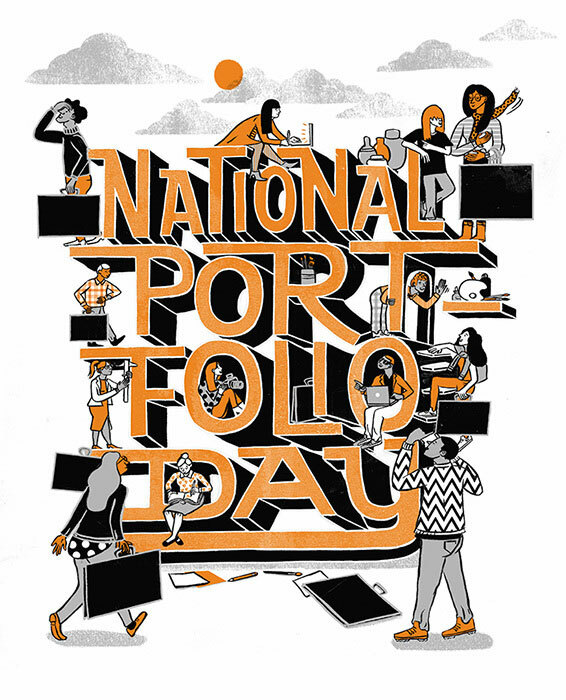 The poster is promoting the event for prospective students. So fun!